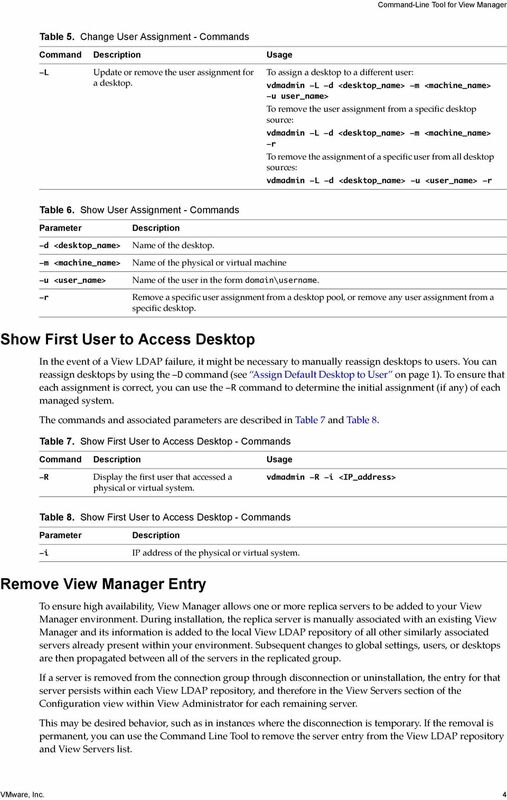 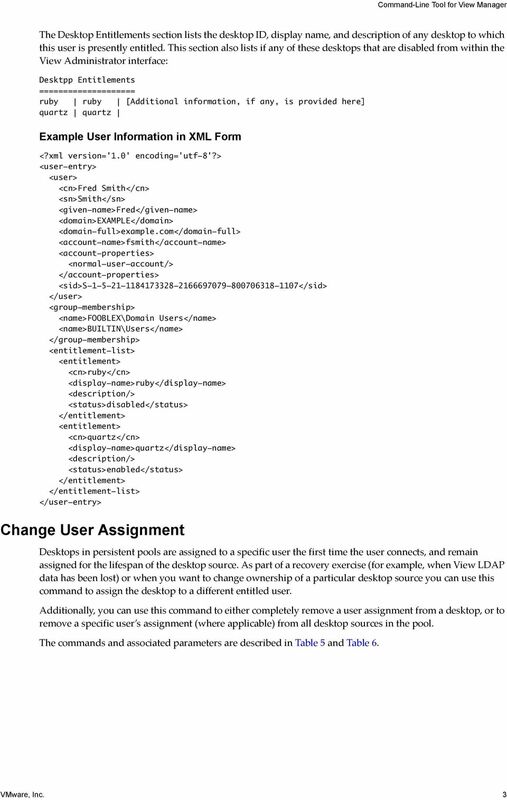 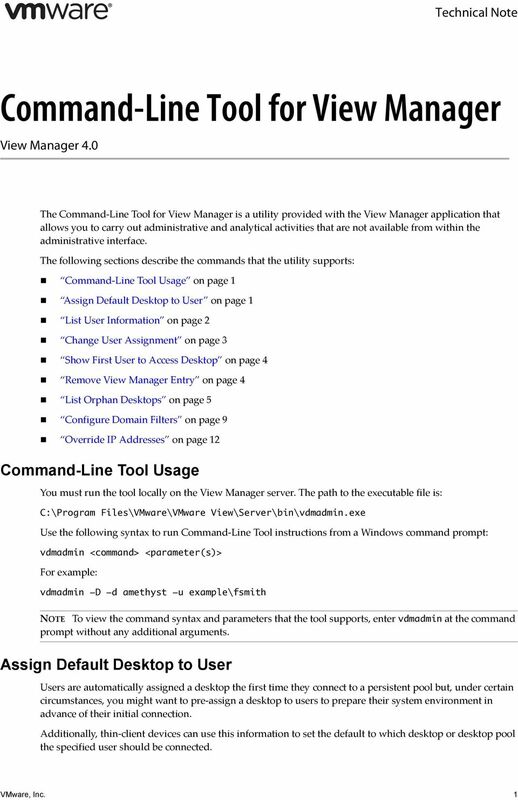 Download "Command-Line Tool for View Manager View Manager 4.0"
Administering View Cloud Pod Architecture VMware Horizon 6.0 This document supports the version of each product listed and supports all subsequent versions until the document is replaced by a new edition. 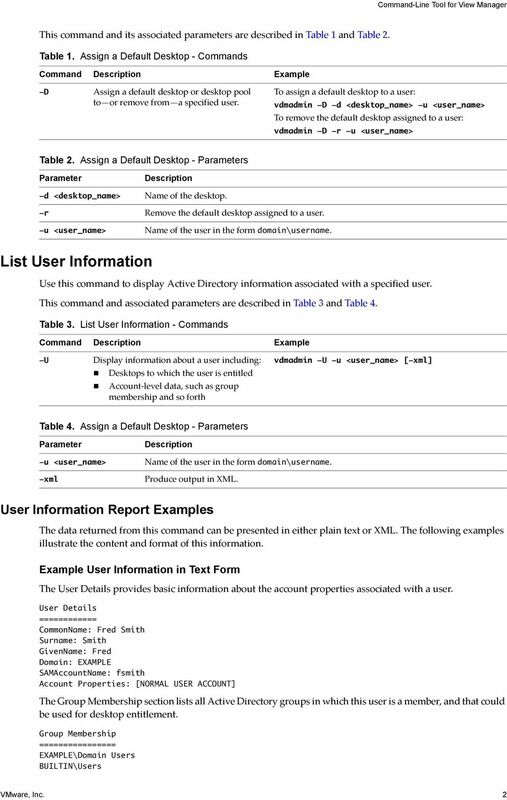 This document supports the version of each product listed and supports all subsequent versions until the document is replaced by a new edition. 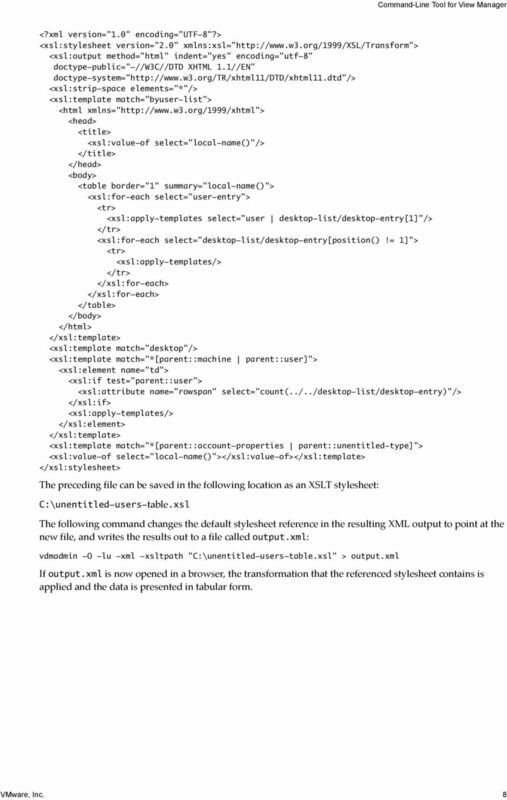 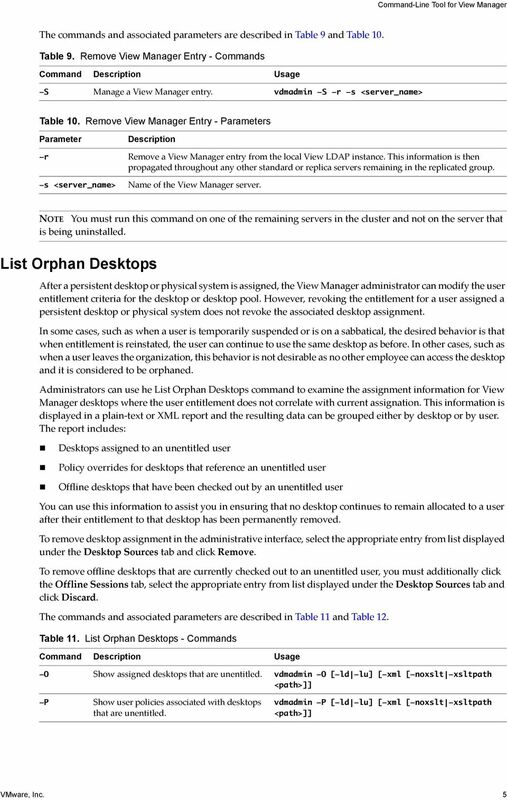 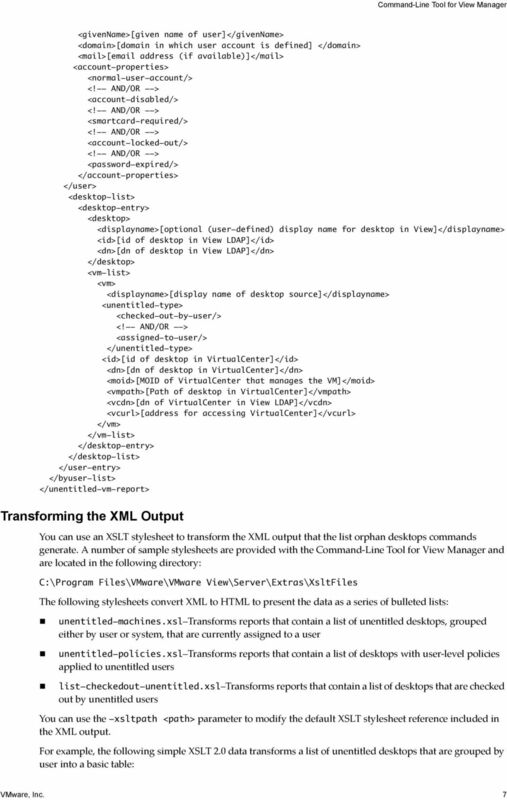 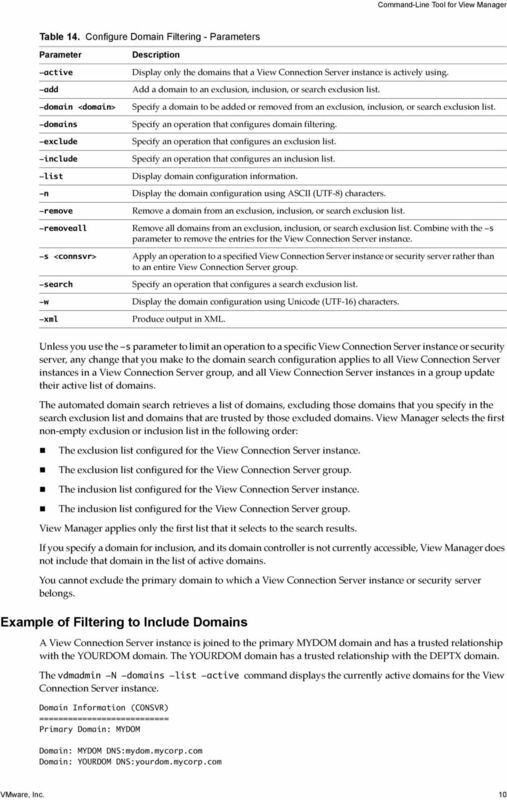 To check for more recent editions of this document, see http://www.vmware.com/support/pubs. 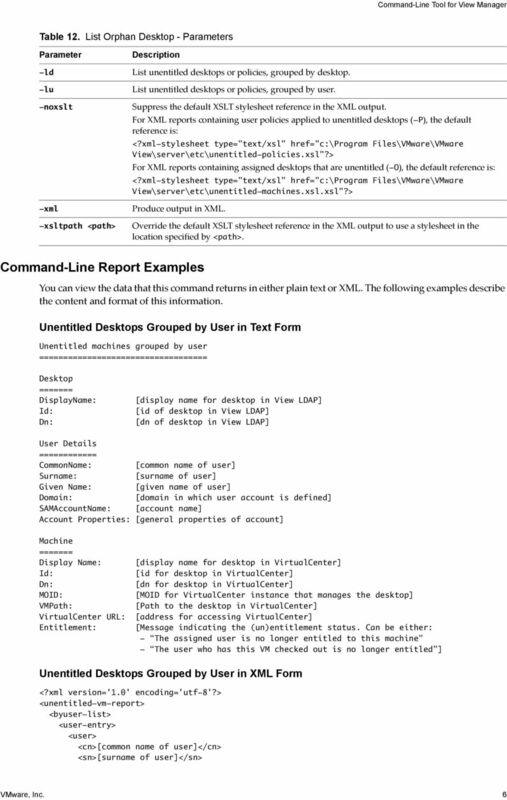 VMware vcenter Log Insight User's Guide vcenter Log Insight 1.0 This document supports the version of each product listed and supports all subsequent versions until the document is replaced by a new edition.